Michonne and Andrea part ways in this episode because they don't agree about the true nature of the Governor and the town of Woodbury. 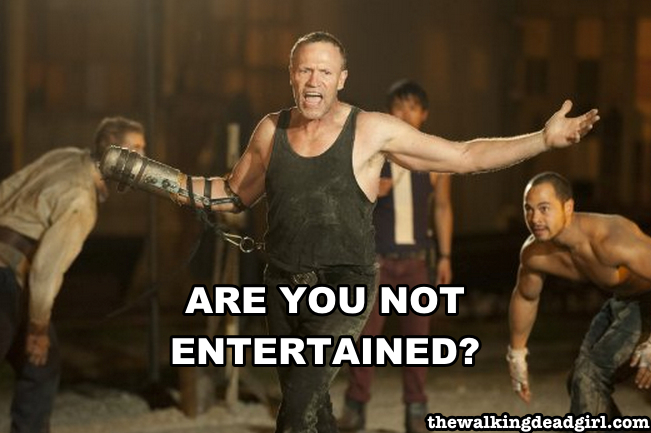 Rick only says one word in this entire episode after he goes on a walker killing spree. Meanwhile, the prison has it's youngest resident, which desperately needs formula and something to eat in order to survive.